This is the week. Really. This time I'm going to finally write some reviews! I have to do it. I am so behind!! I have been reading a lot but haven't written a thing. Sorry about that! Last week, I read Silver Linings Play Book by Matthew Quick, which is my book club's September selection. 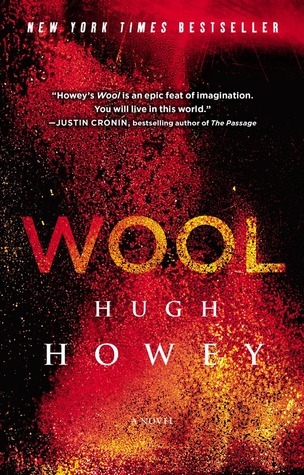 Now I'm reading Wool by Hugh Howey. I had read the first part of the book a while ago, but when I was at the airport on Sunday and saw the full book sitting there, I couldn't resist! 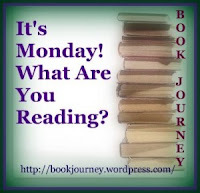 Next up, I'll be reading a review book, Snow Day by Dan Maurer. I've been reading Charlotte's Web by E.B. White to M, and we're both really enjoying it. I also got a couple books for her from the library tonight. 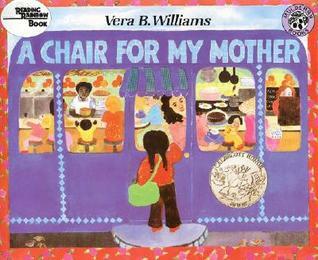 She read Chicken Soup with Rice by Maurice Sendak and A Chair for My Mother by Vera B. Williams. I also have CHARLOTTE'S WEB waiting for me to reread it. I read it as a kid, but want to appreciate it as an adult (and one who writes). Looking forward to that, too! Meanwhile, I'm presently reading THE UNDERNEATH. Stellar writing! Thanks for stopping by! I'll have to check out The Underneath. It sounds good! Oh, I've heard such good things about both Wool and Silver Linings Playbook (saw the movie but haven't read the book). Sounds like you're on a streak of excellent reading! Glad to hear your son is enjoying the Harry Potter books. And I LOVE Charlotte's Web and remember reading it to my boys - just be ready for some tears at the end!